Fashion themes from Drupal employ amazing colors and designs to make any website related to fashion look professional, whether it be a fashion blog, a website of a fashion designer, a site for a fashion agency, a store selling couture clothing, etc.They are 100% responsive, therefore enabling people on tablets and phones to access them too and increasing the website’s reach. The Drupal themes are available for free or at a premium if you need more features. 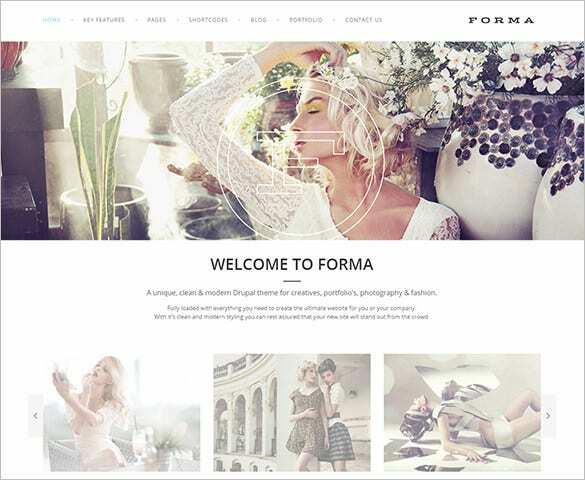 This fashion responsive Drupal template is simply gorgeous and classy. You have a big banner to advertise your latest products or exclusive collections which is followed by different product categories. This fashion responsive Drupal template begins on a glam note with broad display of best products from the store on the home page. 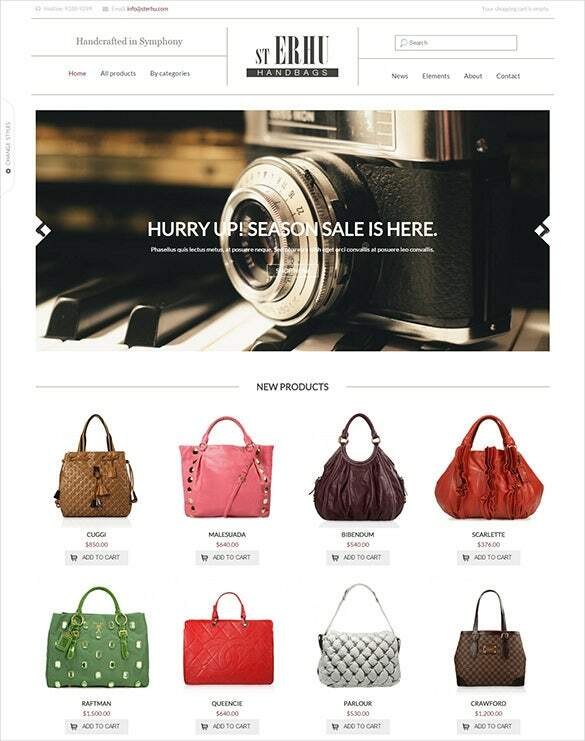 The page also contains information on deals, exclusive offers, new collections etc. This responsive Drupal theme speaks of true elegance from every corner and would be fitting for your classy fashion agency. It comes with sections for blog, shortcodes and offering a very modern & clean design. You are getting a chic fashion theme which will enable you to flaunt the latest clothing or accessories with broad banners on top of the home page. The site will allow to have sections on blog and news. 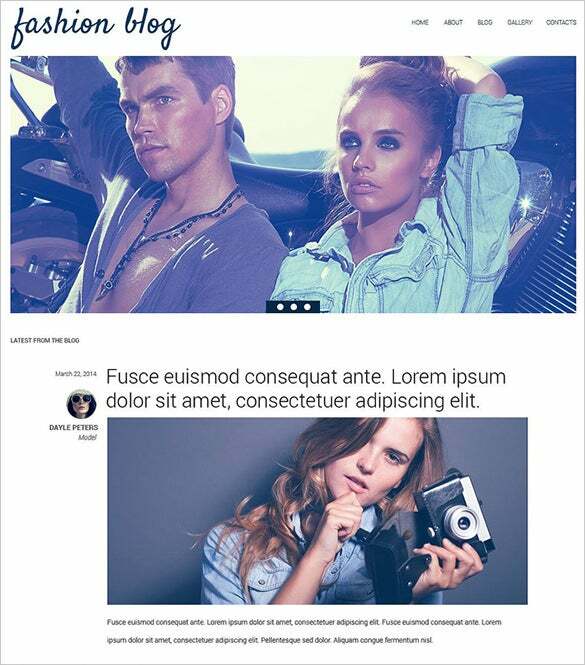 The overall theme comes alive with a very macho fashion feel and would be great for your fashion blog. The homepage also includes the latest post from the blog along with author bio. This responsive fashion Drupal template is no doubt a beauty and opens up with gorgeous closeup of super stylish model. It is further followed by links of latest news articles from the site. They have top design options such as multiple homepage designs and layout options. You can choose from a variety of colors that fit the overall style of your site, you can edit the background to include pictures from the ongoing or important Fashion Weeks of the season, or even put in a video that plays a fashion show where major designers present the latest styles and designs.There are options when it comes to presenting your images, such as Lightboxing to more easily allow the visitor to focus on the style of the images they browse, as fashion is a very visually intense subject. They will need to scrutinize little details like the material used and the weaving, for which you can embed high resolution images.With only a few clicks, you can integrate the site with a secure payment gateway and allow it to sell fashion apparel and designer wares. Or you can set up a blog that is very SEO friendly and thus bound to attract a lot of visitors. These features make Drupal themes the best when it comes to fashion.